Forensic science is the process of solving questions of interest in the legal system sometimes in relation to a crime. 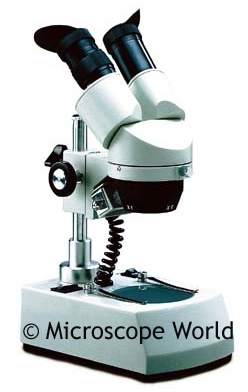 Forensic microscopes are often used in this process by law officials. These microscopes allow comparison of specimens. Kids can do some of their own forensics at home with just a few basic tools! One item that is often recovered from a crime scene is hair. Hair is examined in order to determine ethnicity or whether the hair may have been dyed recently. Using a compound high power microscope such as the kids microscope shown below, gather hair from several family members, your pets (Yes! Find the cat or dog brush and grab a strand from it), and even your best friend. MW1-HB1 kids microscope - options for corded or cordless. Place each strand of hair between a cover slip and a glass microscope slide. How do your family member's hairs differ from each other? What about the cat or dog? Do you notice that one color of hair is thicker than another? Usually brown hair is somewhat thicker than blond hair. Start out at the lowest magnification and work your way up to a higher magnification. 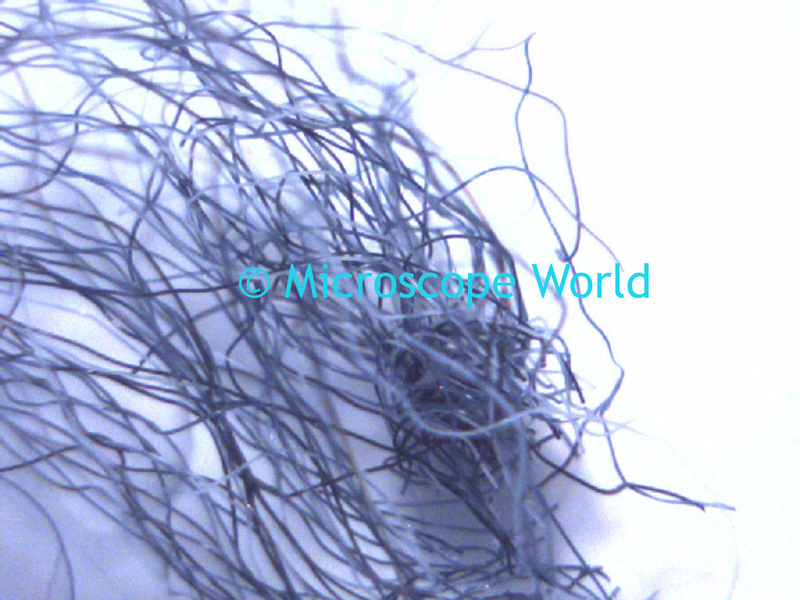 Can you see any scales on the strand of hair at the higher magnification? Does the hair look healthy or damaged? For your next forensic microscope science project, you will need a pencil, some tape and multiple friends or family members in order to take their finger prints. Rub a lot of lead from the pencil on a blank piece of paper then put your finger in the pencil lead. Next, press your finger onto a clean piece of tape. Pull the tape off slowly and then place the finger-printed tape onto a clean white piece of paper. Put this paper under a student stereo microscope, such as the one shown below. 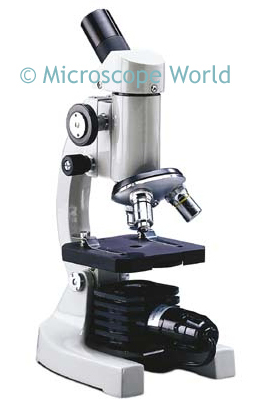 MW2-L1 dual power stereo microscope. Take a look at the finger prints you collected starting with the lower magnification, then move up to a higher magnification. Can you notice differences in the prints? How unique is each finger print? 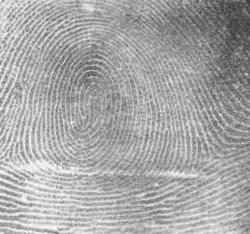 Fingerprint image courtesy of US Dept of Commerce. For your final forensic science project - gather some fibers from carpet and clothing. Place them under the stereo microscope using the top light. Would you be able to determine where these fibers originated? Does one of your friends have a different kind of carpet in their house? Do the fibers appear very different? Carpet fibers captured at 40x magnification. 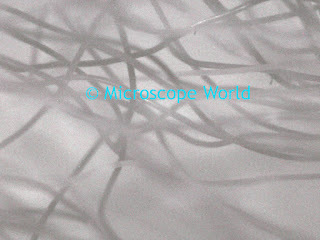 Carpet fiber captured at 10x magnification using the MW5-LD2 digital stereo microscope.